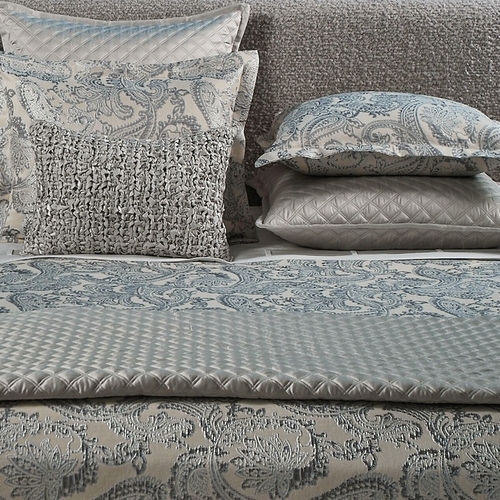 The photo above shows the Double Diamond Coverlet Set in Silver paired with the Arabesque Duvet Set in Silver. 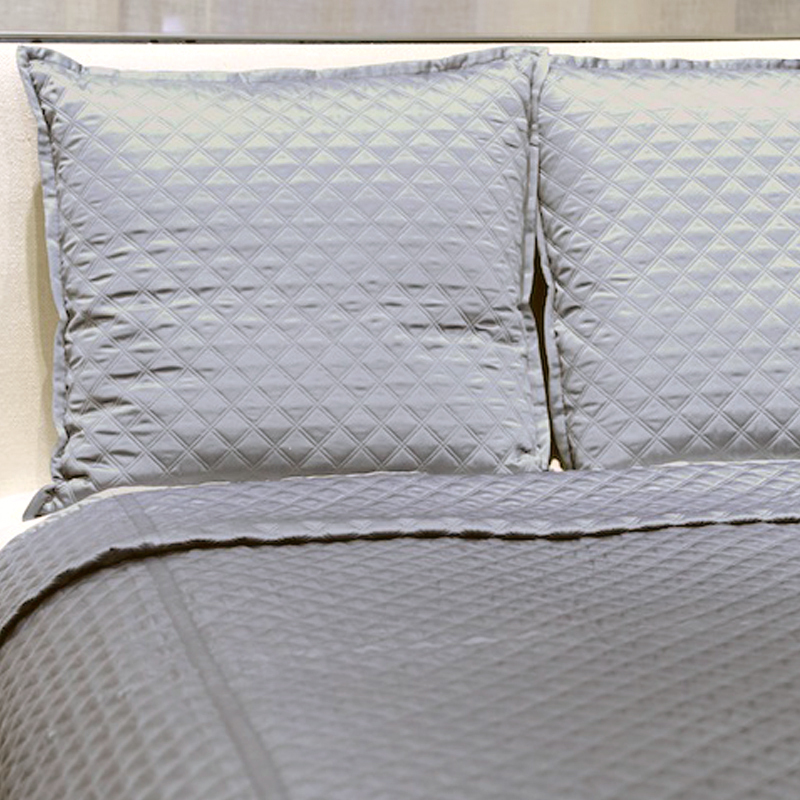 The Double Diamond Coverlet Set in Silver is available as a 3 piece King or Queen size set. 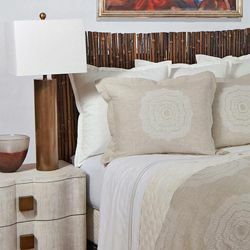 • The Art of Home Bedding by Ann Gish is considered a special order item.